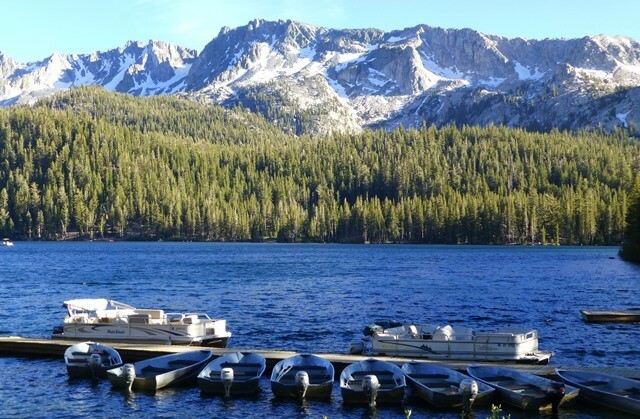 With summer upon us, it is kind of fun to think about some of the options that you don’t always think about when it comes to creating special memories with your family and friends in Mammoth Lakes and the Eastern Sierra. Wilderness Catering owners, Marci & Chuck Satterfield, cater dinners, weddings and music concerts at the Pokonobe Lodge, which is on Lake Mary. For something a bit different with a beautiful view overlooking Lake Mary, an inside dining room and a sunny deck, consider catering your own party. Marci provides delicious food and will work with you on your menu. I grew up camping at Lake Mary and have a special spot in my heart for it. We actually held my Mom’s memorial at the Pokonobe Lodge 5 years ago. Wilderness Catering, Marci and Chuck, did a terrific job of catering it for us. If you have an event you would like to plan with a location that is unique, please give Marci a call at 760 934-6061 or send her an email at marci.satterfield@yahoo.com. Be sure to catch one of the Li ve Dinner Concerts with Fiddlin’ Pete July 7, July 21 and August 11th. For reservations call Pete at 760 873-4616. The String Theory will perform June 30, August 4th, August 18th and September 1st. For reservations for this call Charles 760 258-6026. In the winter, Wilderness Catering also hosts full moon dinners at the Pokonobe Lodge. You can cross country ski, walk, or take their special Snowmobile rides. These dinners will make an indelible mark in your memory! Kittredge Sports provides all the fishing tackle, boats and paddle boards. So why not spend the whole day up at the Pokonobe Lodge, take advantage of the lake, fishing, pontoon boats, paddle boards, canoes, kayaks, and even a small grocery store. They have a daily fee to launch your own boat. It is also a great spot to see the Eagles soar. 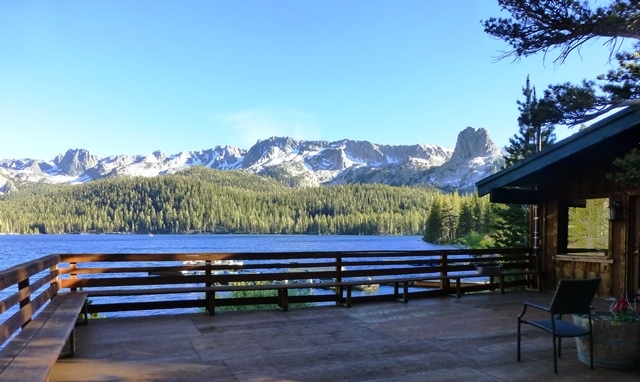 With the bike path from the Town that takes you all the way to Horseshoe Lake, the Lakes Basin is much more friendly and accessible without driving. You can take the shuttle, load your bikes, ride around the Lakes basin and then ride your bikes back to town, so that you don’t get all worn out just getting up there. Interest rates may be on the way up and prices seem to have bottomed out. I would encourage you to get into the Mammoth real estate market so that you can start enjoying those special times with your family now. Memories are priceless! Mammoth Lakes was a lifestyle move for me in the fall of 1979. At the time that Dave and I made the decision to live in Mammoth, we thought it would be for a couple of years. We had purchased a studio+loft/2 bath at Hidden Valley in 1978 and found that we loved being in Mammoth. So much, that we made the move, but never planned our exit strategy and so almost 34 years later we are still here. In 2010 I had a bad fall and ended up being air lifted to Reno in January 2011 with a subdural hematoma. I ended up having surgery where they literally drilled a couple of holes in my head to relieve the pressure of the bleeding. I have since been fine, but am extra careful about triggers that may cause memory loss. I have subscribed to Medix Select, a health newsletter, as I want to be proactive about taking care of my brain. Since so many people love Mammoth for the lifestyle and vacations are coming up very soon, I thought you might enjoy this article on Lifestyle Changes for stress. We live in a stressed society and people come here to relieve the stress from their day to day workload. Believe it or not, living in Mammoth I can still experience stress! I do appreciate the view out my window and the short commute to work though. Here are some tips that are pretty basic, but even recently, I was able to put these suggestions into practice and they really turned my day around. Studies show that dealing with chronic stress can wreak havoc on your health and happiness. Here are seven healthy ways to manage those daily stressors and feel better and lighter, now. 1. Catch it immediately: The first step in taming stress is becoming aware of your triggers, and taking steps to calm yourself right away. Be aware of your own “stress reflex” as soon as it starts, especially when you stress over mundane things. 2. Change your posture: People who stand taller with their shoulders back and chests open, not slumped, have found their stress levels reduced, even if they change their posture for just a few minutes. 3. Turn off your phone, go outside: If you're feeling stressed, turn off your phone and head outside. Several studies show spending time in nature improves general well-being, lowers anxiety, stress and depression, and even boosts self-confidence. 4. Exercise: Working up a good sweat not only boosts your mood, but research finds that it can soothe anxiety and better prep you for a stressful or emotional event or experience. If you need a quick break at work, run a few times up and down a flight of stairs, or walk around the block. 5. Laugh it out: Research shows that people who laugh, also enjoy the highest drops in stress levels. 6. Make a decision: Being in limbo over a decision can cause stress. If the decision you need to make is relatively small, just decide and move on. 7. Set new goals: Set yourself goals or challenges, just for you. So, sign up for one of the up and coming races in Mammoth, and buy a property in Mammoth so that you can take advantage of the high altitude training!